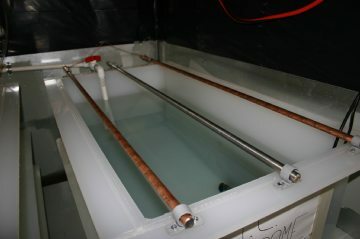 Below is a picture of our tank fabrication servicemen custom welding electroplating or anodizing tanks. 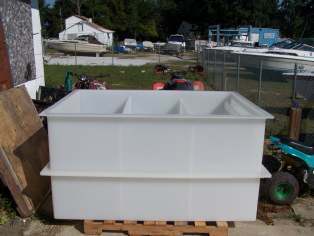 We can build polypro, HDPE, and PVC tanks up to 25 feet in any direction. Plating & Anodizing Sales can hand weld as well as extrusion weld your electroplating tanks. 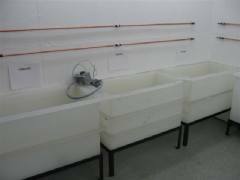 We can custom weld and build polypropylene, PVC, and HDPE chemical tanks to suit almost any specific plating or anodizing line needs. 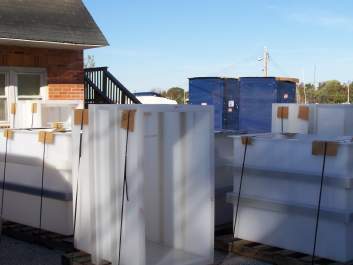 Also available are custom welding and plastic fabrication for fume hoods and small evaporators. 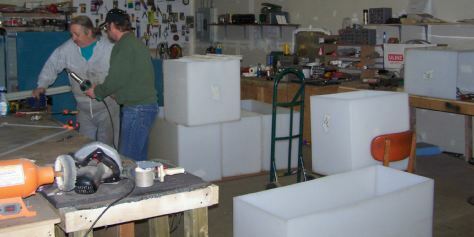 Pictured here are some of the tanks we have built in the past.